The Red Dot line offers a range of lightweight, durable scissors and shears. With their cutlery-quality stainless steel blades and adjustable pivot assembly, Red Dot scissors and shears provide strength and sharpness along with matte black polypropylene handles for a sure, non-slip grip. The top blade is knife edge and the bottom blade is micro serrated to ensure perfect grip on fine fabrics, and to make it easy to cut through muliple layers. 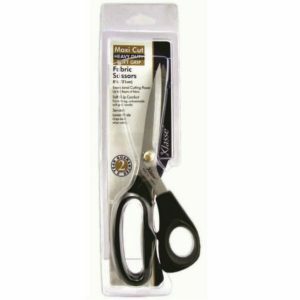 Klasse Dressmaker Serrated Scissors, Maxi Cut Series – 9.5″. These scissors have adjustable blades, a longer smoother cut with larger grip for comfort and extra power. 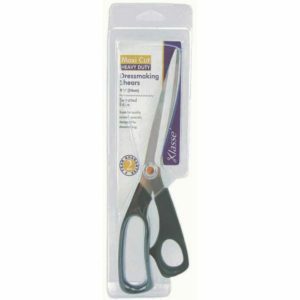 Klasse Dressmaker Serrated Scissors, Maxi Cut Series – 8.25″. These scissors have adjustable blades, a longer smoother cut with larger grip for comfort and extra power. 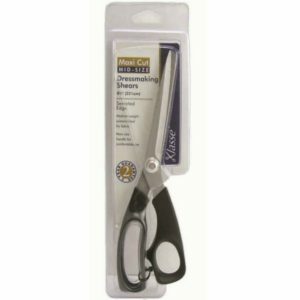 Klasse Dressmaker Serrated Scissors, Maxi Cut Series – 8″. 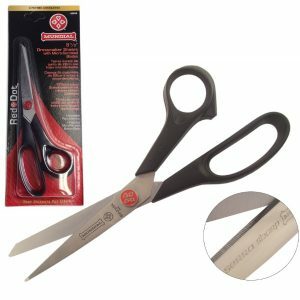 These scissors have adjustable blades, a longer smoother cut with larger grip for comfort and extra power.